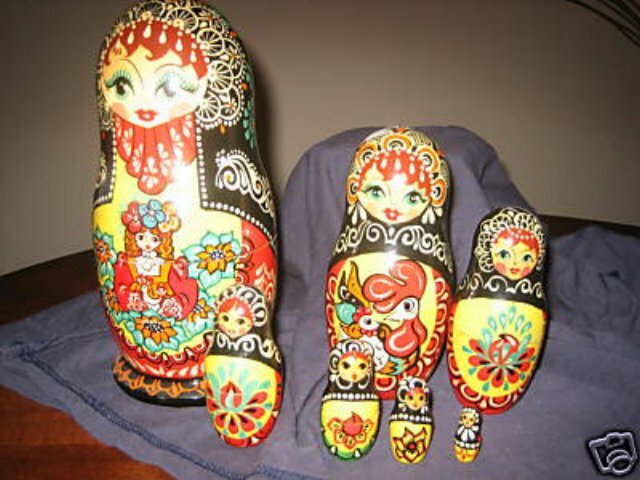 This is a very colorful and ornate doll made in Moscow in 1992. The dolls wear black ornate scarves and are decorated with bright red and yellow scenes of a flowers, and chickens. The outside doll is 8” tall and features a scene with a girl with large flowers in her hair who holds a small rooster.